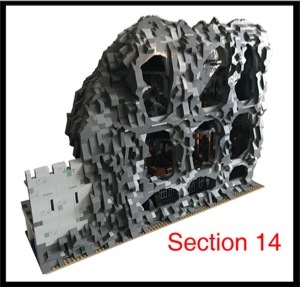 The HLMSDP-BOOK 5 manual contains the final part of what is now a Complete Modular Monster Build, bringing the overall piece count to over 21,000 total parts!. 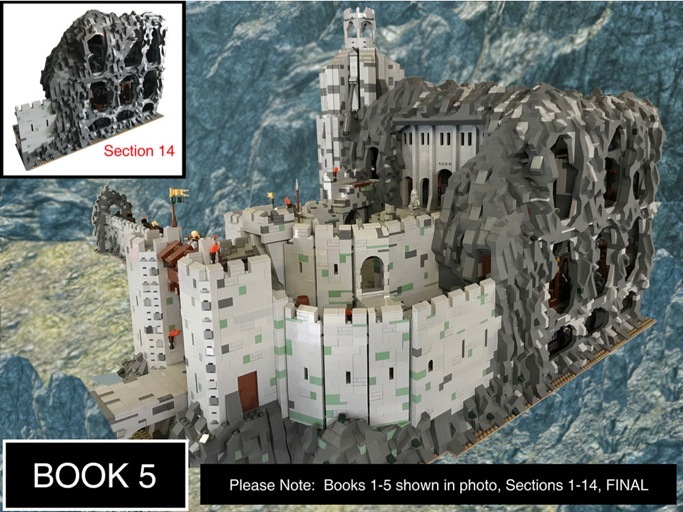 Book 5 comes in at 189 pages (PDF, step by step guide to building the final section (see pics) of this project, from your own bricks. It’s been over 10 months in the studio with this next addition, as the Glimmering Caves are now highlighted! This final back right section now hides the under structure from the side, and features a cut away view of the mountain. 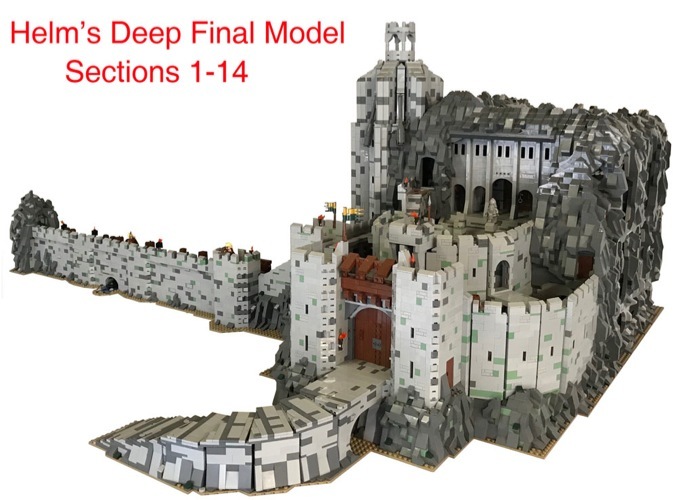 Features include lower dungeon, working well to stables for horses and livestock, stairs into the mountain with secret doors and passages that connect to the inner keep throne room. (King Theoden didn’t really need to ride out the front!) 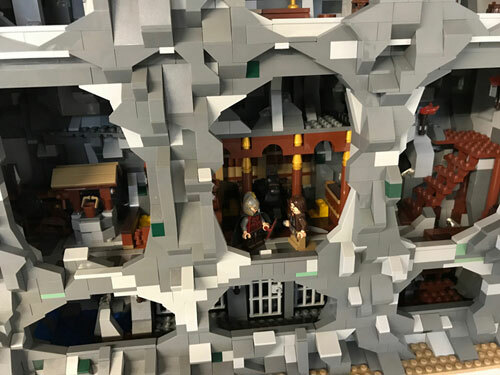 This build is huge, and full of surprises all along the way! Sections 1-14 connect to each other. Your giant build will now be complete, as intended. 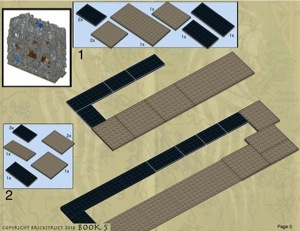 Files also contain a complete parts list of what you will need to build this massive creation.